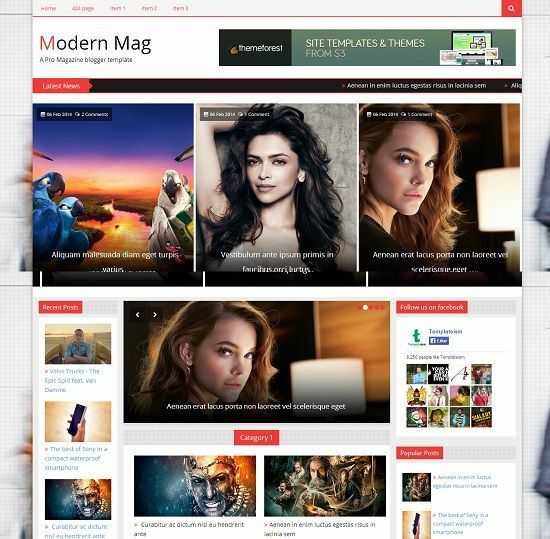 Modern is a free extremely robust, responsive and magazine style blogger template ideal for all niche. As name suggest it has plenty of modern features integrated into this template which makes it one of the unique template. Best suitable for online magazine, portfolio, news, editorial, multimedia, personal and any content rich websites. Wow..it’s my favorite thank you very much. I am using this template and I need your help. I want to change current menu to become a drop down menu.